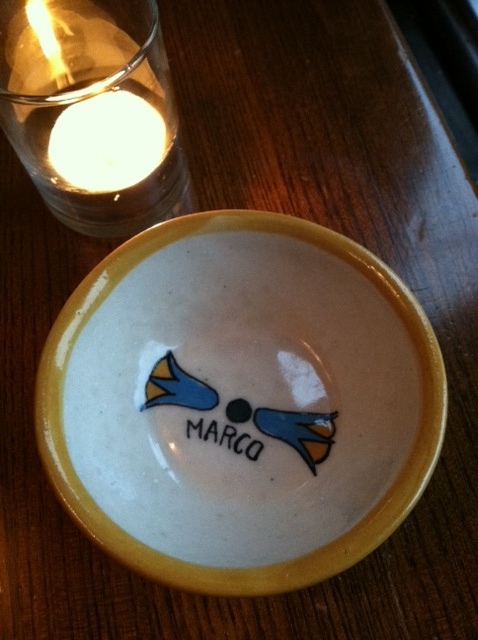 I hadn’t really heard of Marco until a friend recently mentioned that I need to try it ASAP. As Restaurant Week was approaching at that time, I knew this would be the perfect opportunity to try multiple courses for a decent cost. 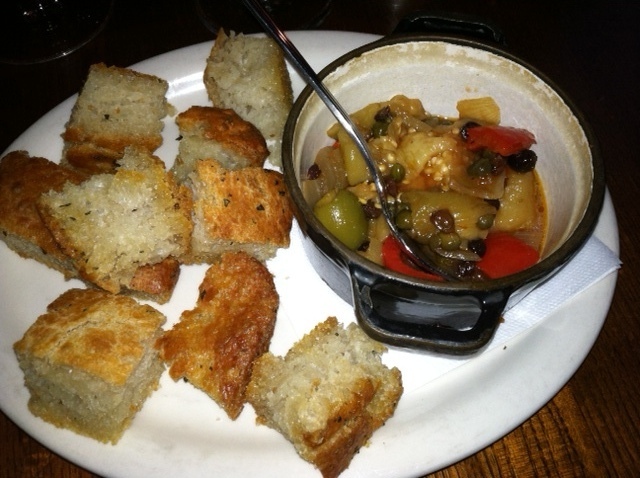 Bread: Small bites of foccacia bread were served with a bowl of peppers, onions, and capers. The accompaniments were atypical and luckily for Matt (he’s not a fan of peppers & onions) EVOO was also poured into a small dish. 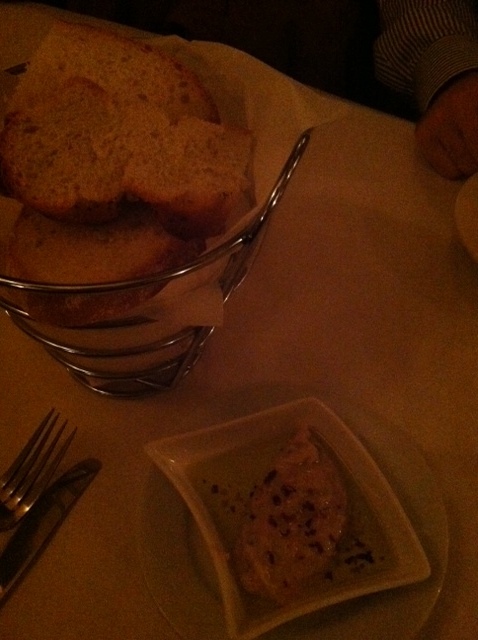 The bread was great and served well for dipping in future courses. Menu: Marco was only offering their Restaurant Week menu which was actually 4 courses instead of the usual 3. They began with 4 options for Antipasti, followed by 3 for Insalate, 7 items for the main course of Piatti Principali, and finally 4 selections for Dolce. I made sure to come hungry! This is not your typical bruschetta! I had been warned by a friend who dined at Marco last week so luckily I knew what I was getting myself into with this dish, otherwise I may have been a bit confused. 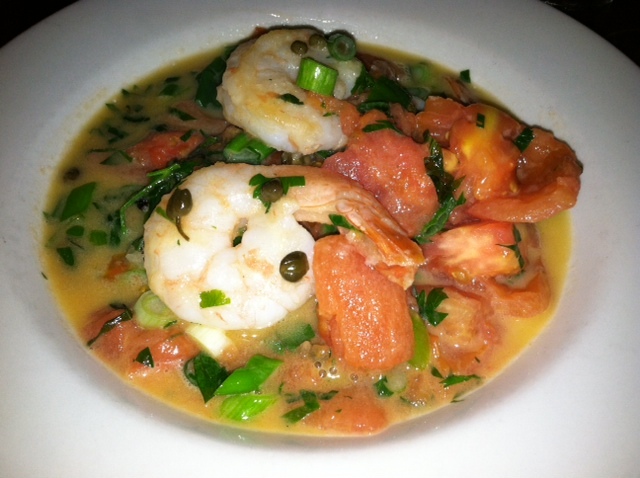 One piece of bread – submerged in the garlic, scallion, caper, white wine, and butter broth – was surrounded by tomatoes and topped with 3 large shrimp. The bread was thick enough that it wasn’t too soggy and the tomatoes were a great consistency of ripe yet soft due to being marinated in the broth. This was light & refreshing, and so delicious! You better believe I used the leftover foccacia bread to dip in that amazing broth. 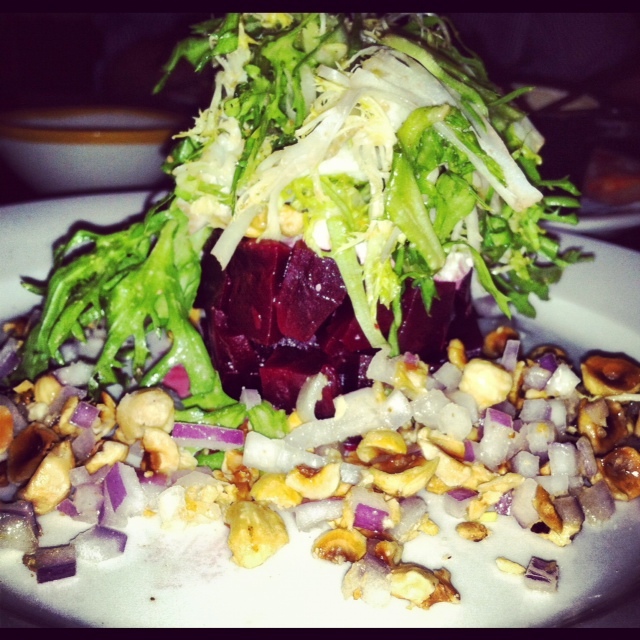 A mound of cubed beets was topped with goat cheese & frisee, and surrounded by a scattering of chopped red onion and hazelnuts. Often beet salads are more greens than actual beets, but this was not the case here. I could have used a bit more cheese, but otherwise I loved everything about this course, especially the plentiful onions & hazelnuts! 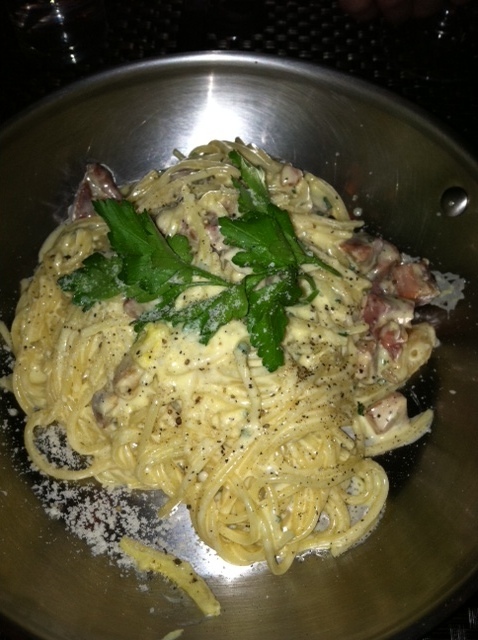 I couldn’t resist ordering my favorite pasta dish! The tagliagtelle was of course cooked al dente, and was swimming in an almost creamy sauce of ground meat and pieces of tomato. In general I consider myself an over-saucer (I pour on extra gravy like it’s my job) but if I’m being critical I would say this dish was just a bit over sauced. The sauce was delicious, but too much of a good thing isn’t always the best. I did however really enjoy it, and especially appreciated the amount of tomato chunks! This dessert was equal parts soaked ladyfingers and creamy custard. 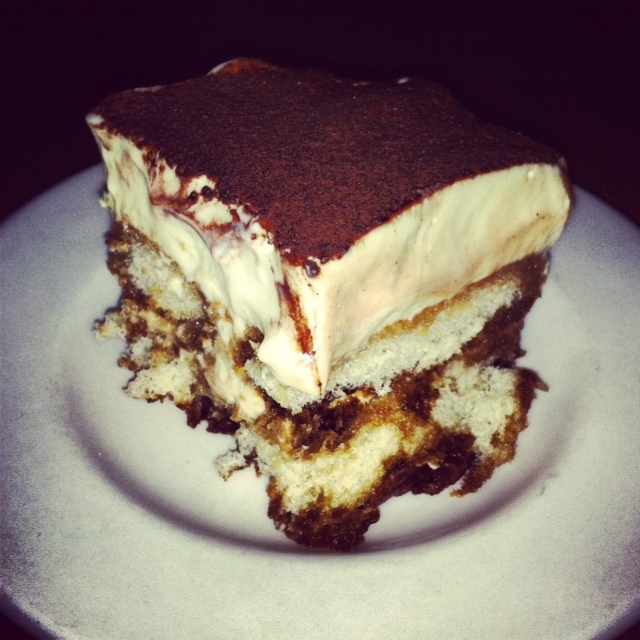 I have to be careful with dairy and cream in general, so it wasn’t my personal favorite tiramisu due to the amount of custard but it was still good. 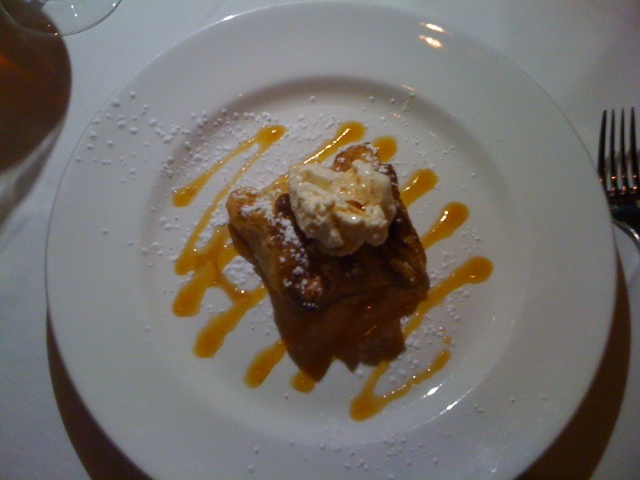 A perfect little portion to end a really excellent meal. 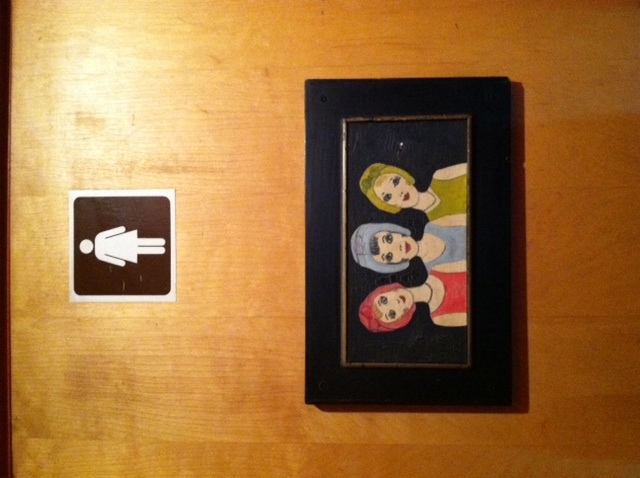 Bathroom: Past the bar are 2 doors, each a unisex restroom. 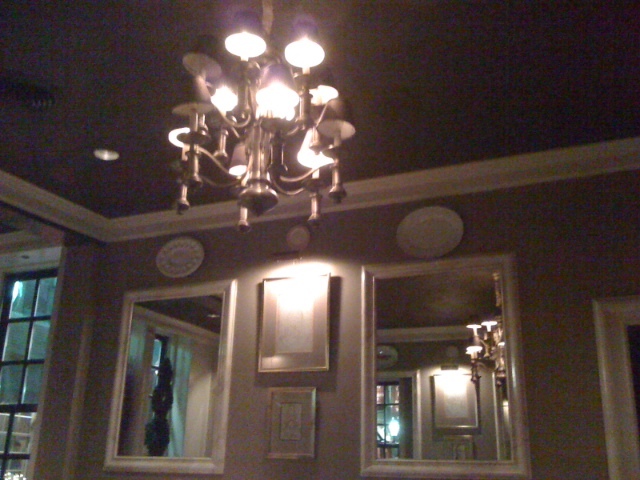 Not much to say here; the room was quite small, with 2 mirrors on opposite wood-paneled walls, and a wicker basket holding a fan of paper towels. 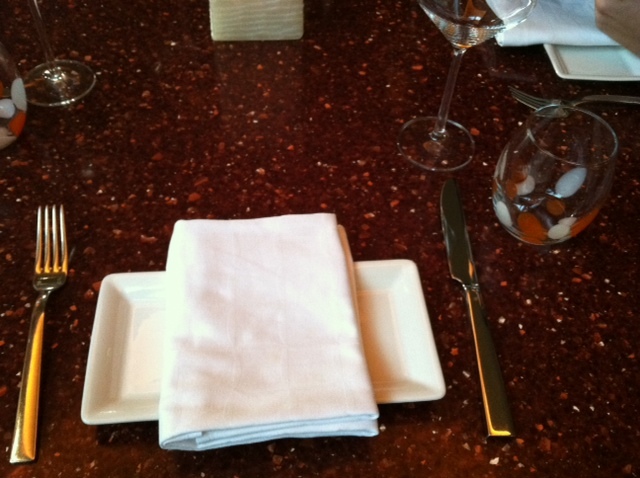 Service: The service was great and each course was delivered in perfect timing. Our waitress was friendly and informative. I liked the glass bottle of tap water they left on the table for us to pour. 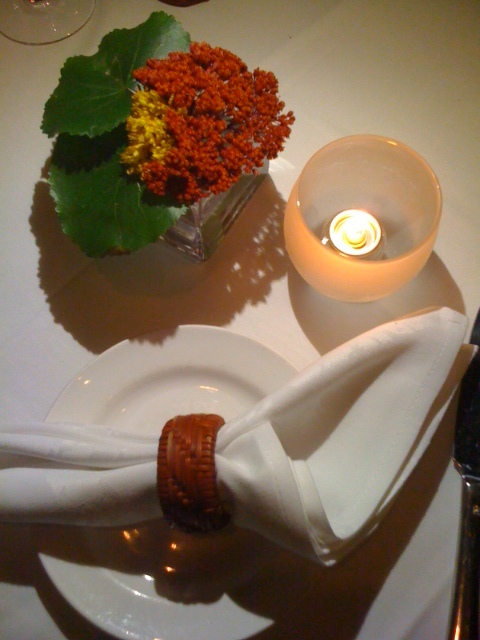 Overall: I very rarely have a 4-course meal but I’m glad we did tonight; everything was really great! 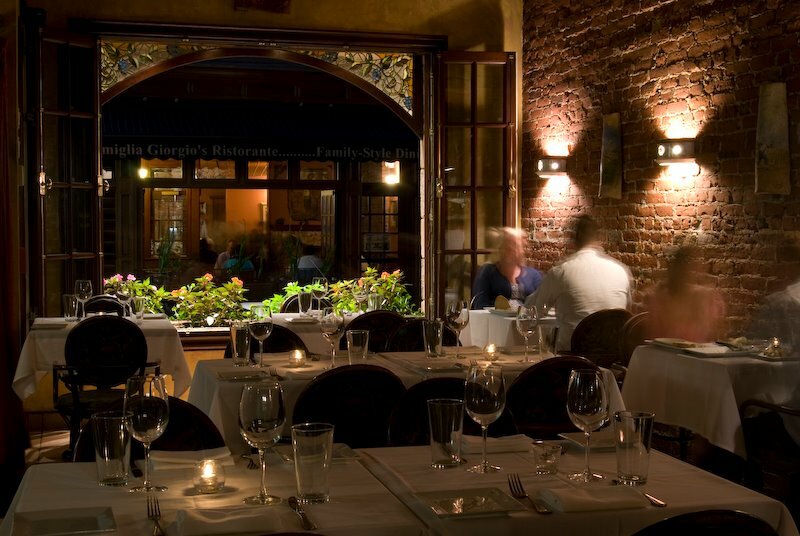 The restaurant itself is quite charming, a small spot located on the 2nd floor above Bricco on Hanover Street. Marco has a cute bar that sits maybe 6 people and a dining room featuring hard wood floors, brick walls, wooden tables & chairs, and a faux fireplace setting a casual and rustic atmosphere. 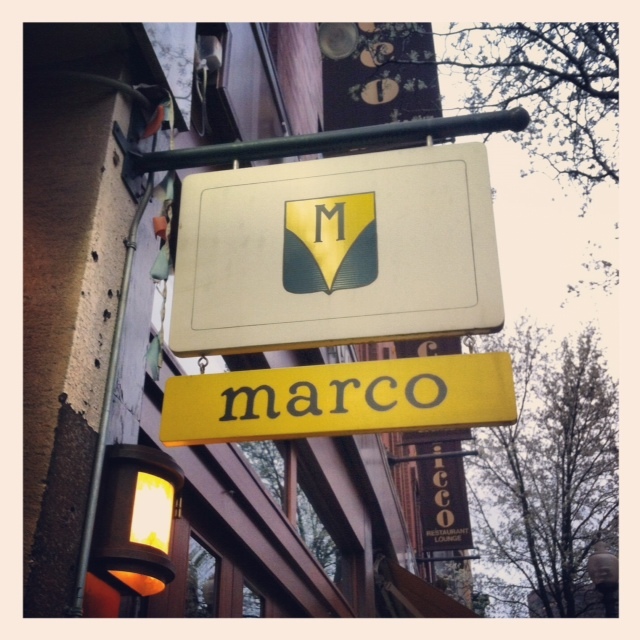 Serving family style dinner on Sundays, I would recommend Marco any day of the week! A bonus: they validate parking in the Parcel 7 Garage for $1 if you’re in & out in less than 3 hours. The Perfect Bite: There was a perfect bite in each course! 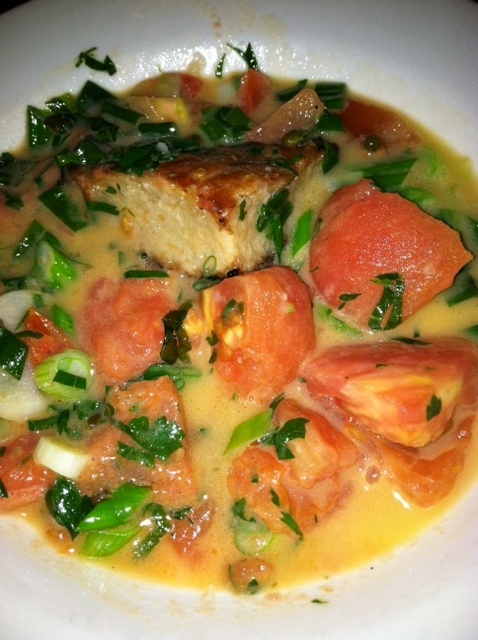 But if I must choose one I’ll say dipping bread in that bruschetta broth and topping it with a soaked tomato, oh wow! oh there you are bread! A friend of mine has been raving about Terramia for quite some time, so when I saw the Bloomspot coupon in my Inbox I not only FWDed it directly to her, but I bought one for myself as well. I set up a nice Saturday evening dinner for me & my fiancé, with $80 to spend! Too bad some bonehead (yours truly) didn’t remember to check the fine print: Coupon valid Sundays-Thursdays. Bread: About 4 large fluffy white pieces of bread was delivered in a metal basket with a side of white bean purée with red pepper flakes. 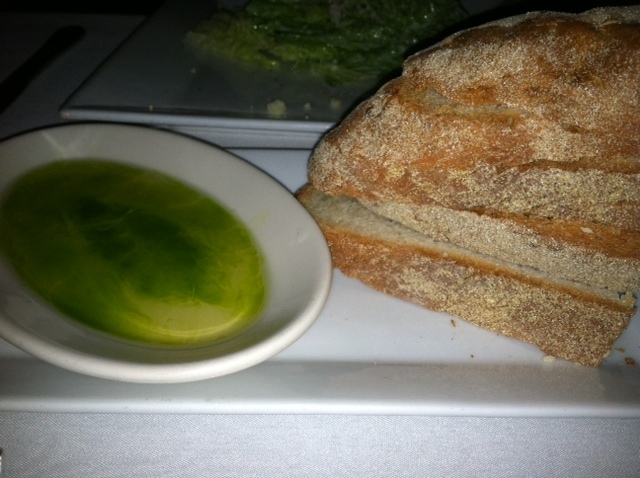 The bread was soft and fresh, and the spread was delicious, a great change-up from the expected butter or EVOO. Menu: Antipasti, Salads, Primi, Secondi, Contorni. The options weren’t overwhelming and provided a nice variety. 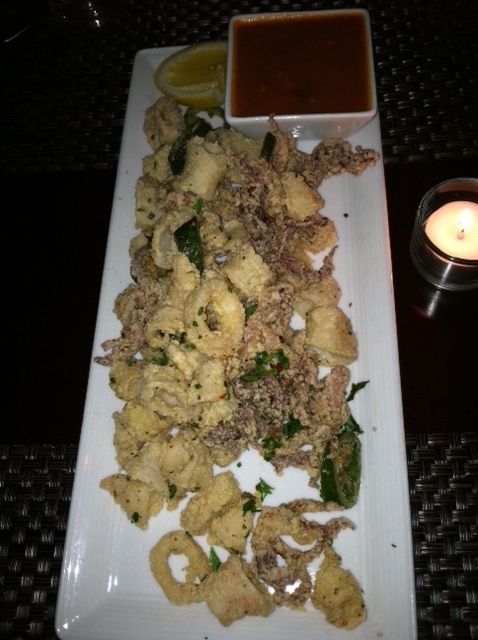 They also had quite a few tempting appetizer and entrée additions, one of which Matt ordered (Sea Bass). The lobster fritters were recommended to me by my friend who has frequented Terramia often. Four fritters were sitting in the glaze and topped with the crispy vegetables, which added a great texture. Each fritter had a decent piece of lobster, but the proportion of crustacean to fried dough was way off. I found myself leaving half of each fritter as I didn’t want to eat just dough. The glaze however was delicious, but I wouldn’t order these again with the $18 price tag. 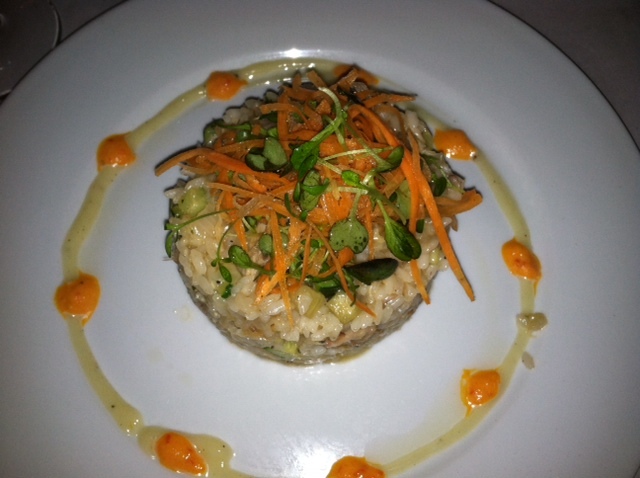 A cylindrical mound of risotto came topped with shaved veggies and surrounded by a circle of red pepper purée. The portion was generous – I could have eaten ½ and been satisfied, but it was so good that I couldn’t imagine not devouring the entire plate. 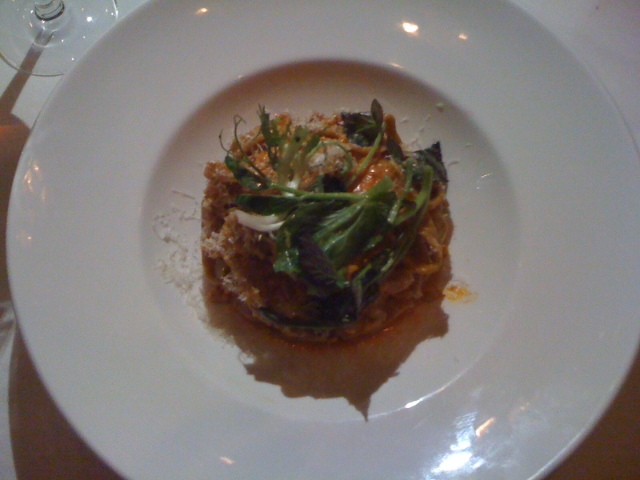 The rabbit pieces were substantial and risotto wasn’t too creamy which I enjoyed. Really great dish! 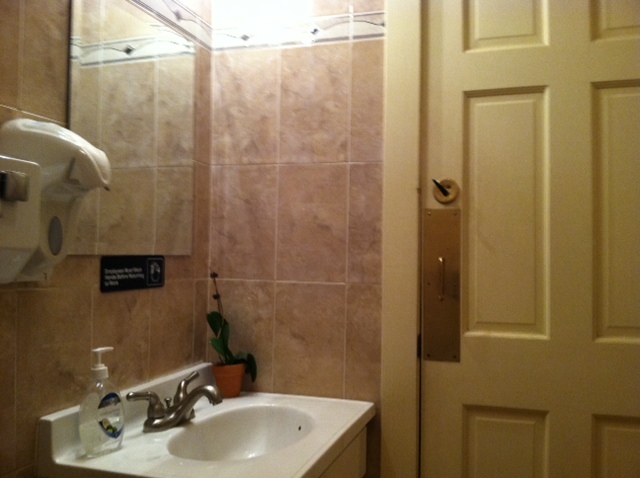 Bathroom: 1 room/stall unisex bathroom due to the restaurant’s small interior. 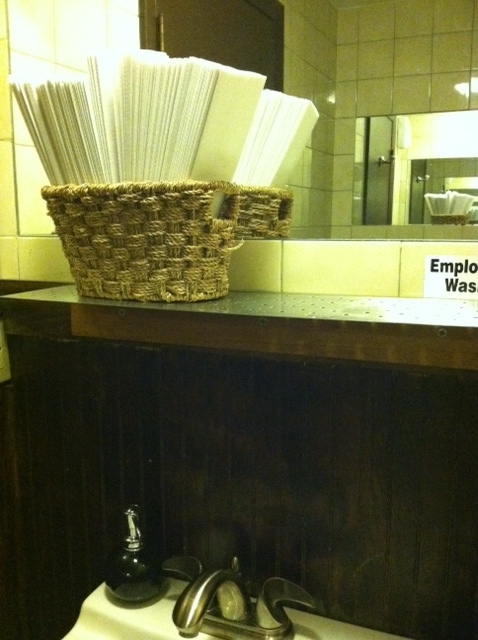 Brick walls, basket for paper towels, pretty sink/mirror combo. Small, but with a rustic character. Service: Our server was able to rattle off all 5+ detailed menu specials from memory, which I’m always impressed by. The wine and food were delivered in a timely manner. The waiter wasn’t overly personable or friendly but he was professional and got the job done (even if he didn’t take my Bloomspot coupon…damnit!). Overall: Prices were above average with apps & salads running $10-$16, pastas in the low to mid $20s, and the entrées ranging from $24-$37. All sides are $7, but I thought were unnecessary since each dish came with their own accompaniments. The atmosphere is like most North End eateries: rustic décor, small & a bit squished, but intimate (sometimes with the table next to you). There are dozens of North End spots to pick from, and while this may not be my 1st choice we both still really enjoyed our evening and most importantly our entrées. The Perfect Bite: Risotto, rabbit confit, dab of red pepper purée. 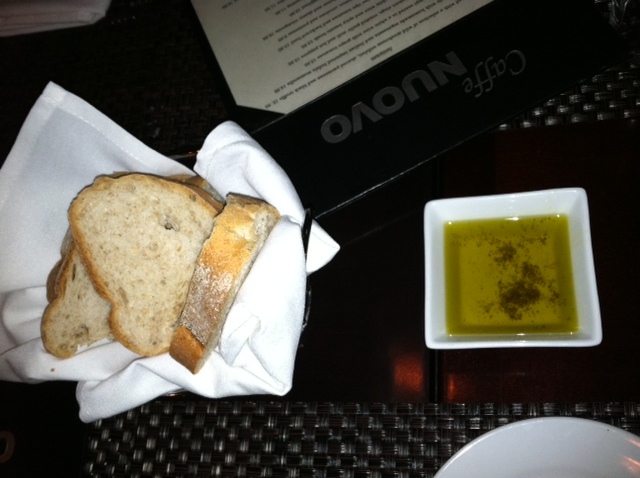 I’ve been to Caffe Nuovo twice, both times for brunch, and to this day I can’t stop raving. Mozz caprese salad with basil pesto and scrambled eggs (and home fries AND toast)… WINNER. It was about time I tried their dinner menu. Menu: Antipasti, Paste Artigianali (homemade pasta), and Secondi. There were at least 4 items I wanted from the Antipasti section but my heart was already set on the Lobster Ravioli. This classic app was served on a long dish with a red sauce rather than garlic aioli as the menu stated. I still enjoyed, as it was the right amount of crispy and chewy without being too greasy or oily. The menu was so full of so many tempting options we couldn’t quite decide what to get, so Benno took matters into his own hands and ordered 3 pastas to share. Each entrée was served in a metal skillet rather than a bowl or dish. I tried a bite or two of each and my favorite was the carbonara; the al dente spaghetti and creamy egg yolk sauce was excellent. The gnocci dumplings themselves weren’t bad but what I really enjoyed was the sauce it came with. 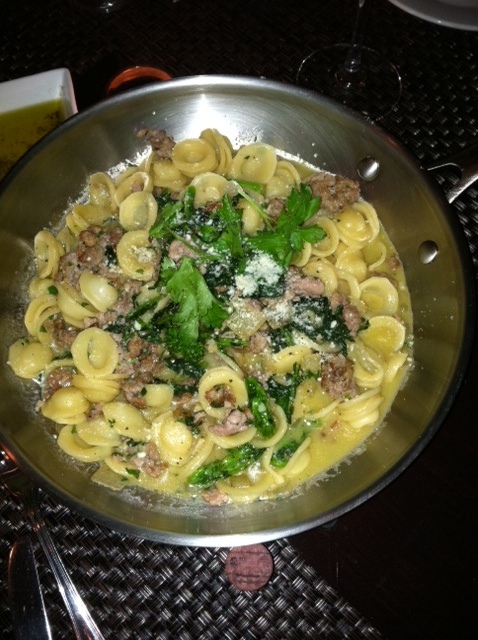 I would never personally order the orechiette dish but it certainly was tasty. 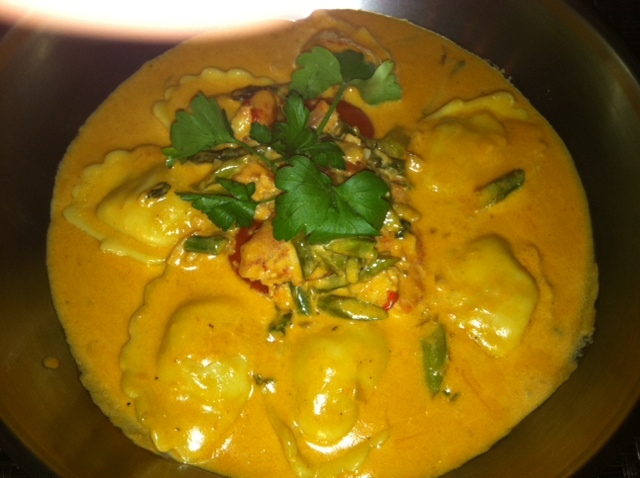 For my entrée I needed a little one-on-one time so I ordered the lobster ravs all for myself! I’m not sure Caffe Nuovo and I have the same definition of “a touch of cream” – 7 ravioli came in a skillet loaded with cream sauce, chopped asparagus, and chunks of lobster claw. I couldn’t finish the meal but it wasn’t because I didn’t enjoy the dish, it was just heavier than I had imagined. Bathroom: A small one room/one stall restroom with peach colored tiled walls. 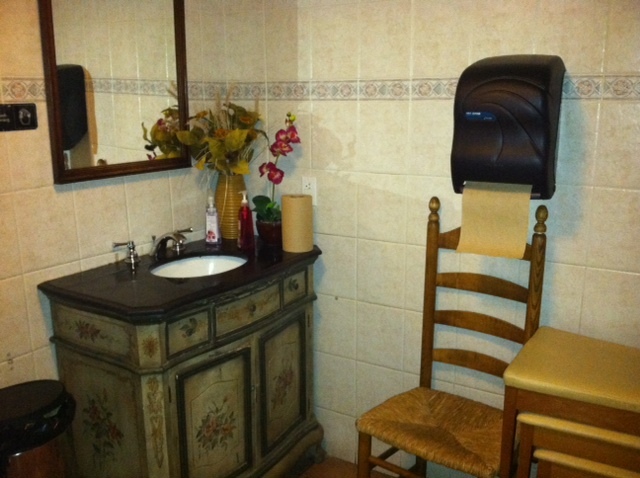 Nothing too special but it was clean and a good temperature (a lot of restrooms I’ve been in don’t have heat and on a cold night like this one I was happy to be warm and cozy throughout the evening). Service: I’m not sure if our waiter was new, timid, or just annoyed because we were the only table in the restaurant, but he seemed a little unsure at times. He did a fine job overall but failed to mention their liquor license had expired until after my friends ordered their vodka sodas. Each course came on time, except for Julia’s mussels which didn’t come at all. Thankfully she also ordered the beet & arugula salad. 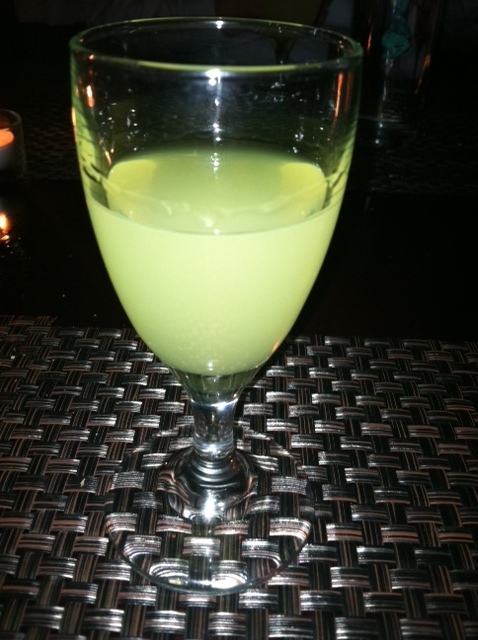 After our meal we each received a complimentary glass of limencello which was a nice gesture. Overall: I won’t judge on the emptiness of the restaurant because this was the first bitterly cold (and rainy) night of the season. The menu had a lot to choose from in each category and many items caught my eye. Prices were reasonable with most dishes under $20 except for a few Secondi items. I’d recommend for dinner but I strongly urge you to try their brunch first. The Perfect Bite: The carbonara was delightful but the surprise chunks of lobster claw won me over so the Lobster Ravioli takes the prize. 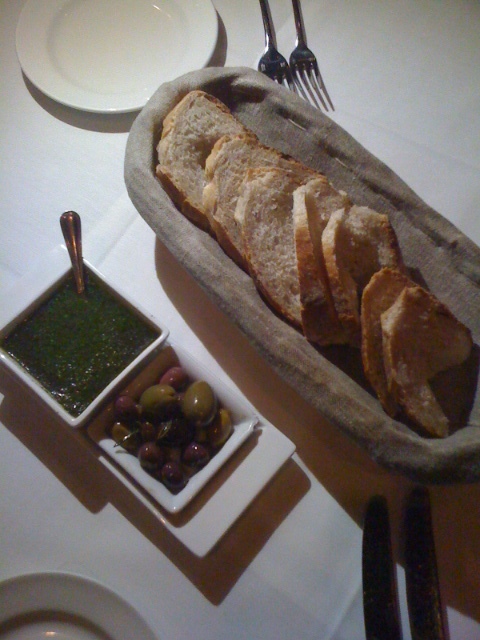 Bread: On a small slab of wood came 4 small pieces of bread with a tiny bowl of EVOO and olives. The bread was great, and I guess smaller bread portions are better so you don’t spoil dinner, but I always appreciate a good hearty piece. Luckily they brought another bread board soon after we finished the first. 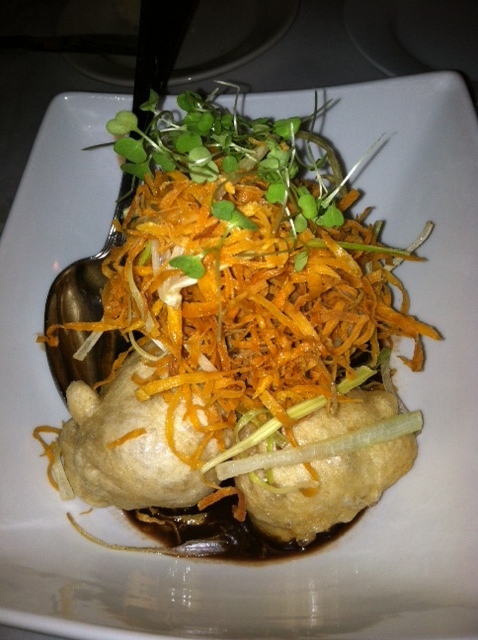 Menu: The online Restaurant Week menu differed slightly from the menu we saw but not enough to throw me off my game. 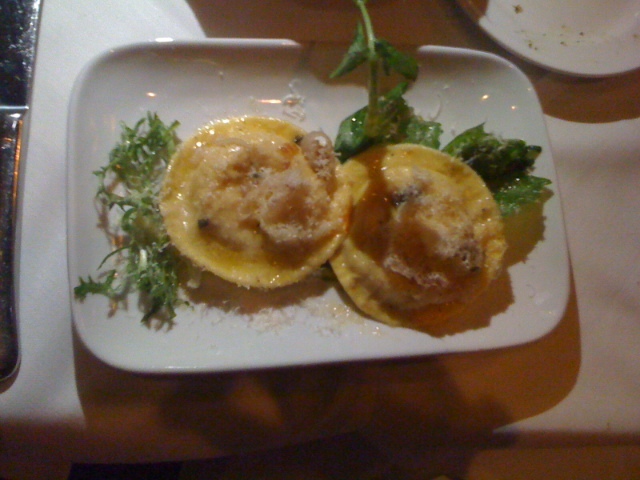 The courses were taken directly from their regular menu which consisted of First Courses, dishes To Share, Pasta, and Secondi. After looking at the actual prices of the entrees we ended up ordering, there’s no doubt we got a good deal! I just wish they represented their namesake on the RW menu with a lobster dish… oh well. Probably my favorite food combination of all time. The 2 sticks of grilled cheese was the best part, filled with some kind of soft cheese (maybe goat?) rather than a melt-y cheese which I was expecting. 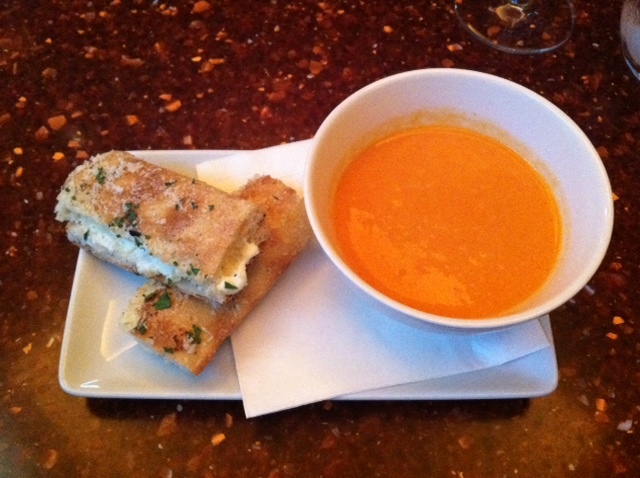 The tomato soup itself was disappointing. I understand it’s summer and that was probably their reasoning for serving cold tomato soup – and that’s ok with me if it’s gazpacho – but this was liquidly and lacked flavor. Ok for dipping the delicious sandwich in though. 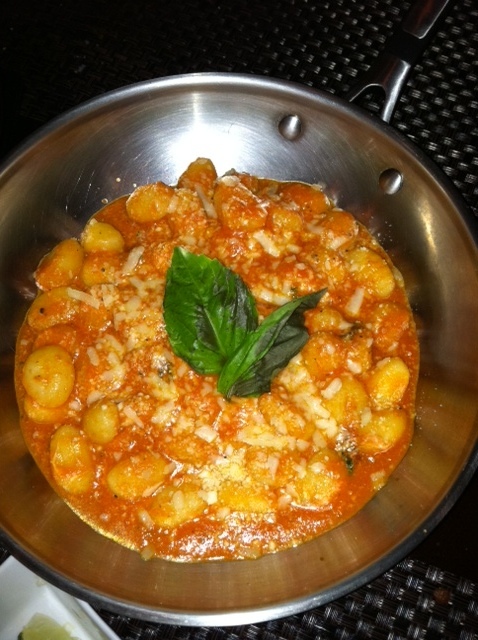 This short pasta was served in a cast iron bowl topped with pecorino and mozzarella. I’m impressed with the use of “gravy” and not sauce – I usually get harassed for referring to marinara as gravy. I don’t know that I’ve ever had veal meatballs but they were excellent, perfect texture and toughness. 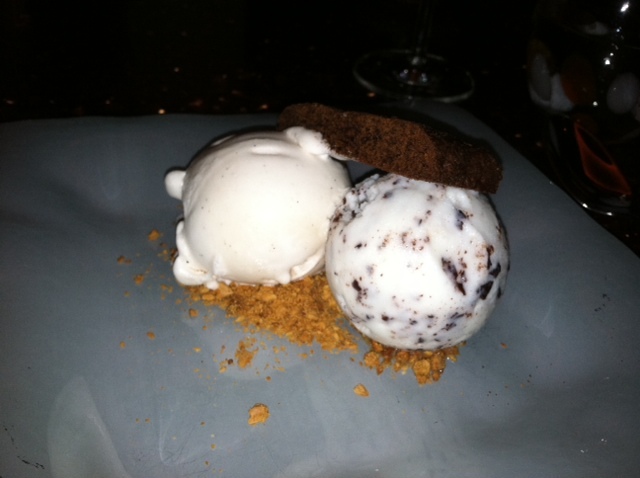 When I asked about the flavors I was told they were vanilla (which is a waste of my time & calories), stracciatella (chocolate chip flavor, not bad), and coffee (which I was most excited for), but when dessert was delivered I noticed it was lacking the flavor I was actually looking forward to! Not sure what happened there but I was slightly disappointed with this last course. I’ve have way better biscottis in my time and these are probably the 2 most boring flavors I can think of. Bummer. Bathroom: Might be the coolest bathroom ever. 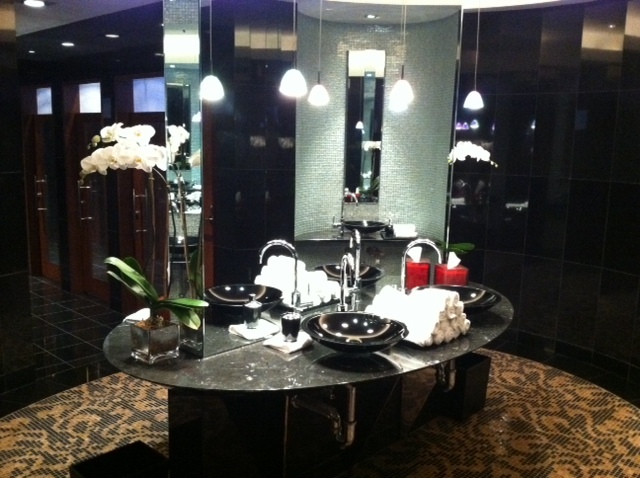 When I first walked in I was slightly confused by the lighting and the mirrors; wasn’t sure which way to turn! 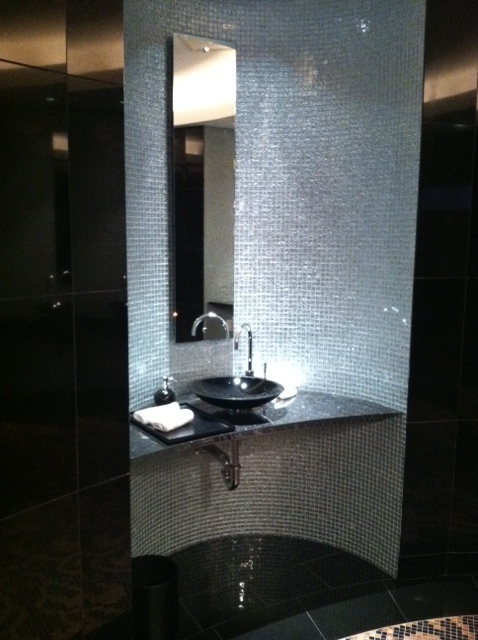 The center of the restroom holds a circular, double-sided sink area with stalls encompassing the right side. 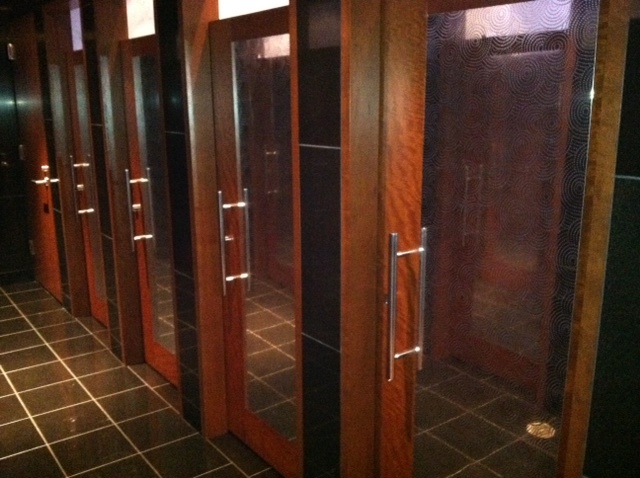 Make your way to the back left and there is a row of about 10 more stalls with decorative mirrors as doors. 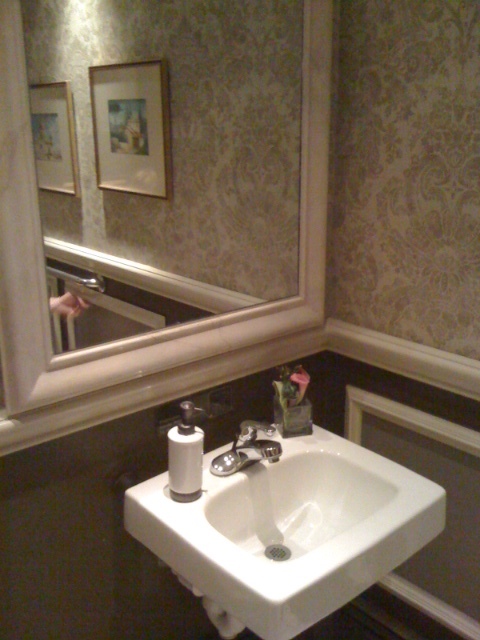 The aspect I found most intriguing were these 4 “solo sinks” placed in the walls around the center of the room. Not sure I can do it justice with my description, but it was pretty awesome. (I must note that these restrooms where part of the hotel and not exclusive to Aragosta itself). Service: We started with one waiter who took our drink order but then another gentleman (perhaps a manager of some kind) took care of us the rest of the evening. He was able to adjust 2 courses to fit Sophie’s Kosher/veggie needs which was nice. I was getting a little antsy waiting for our starters but the rest of the courses came out within a reasonable time. Overall: I really love the space, details, and atmosphere of Aragosta. It’s a comfortable setting with just the right amount of trend. 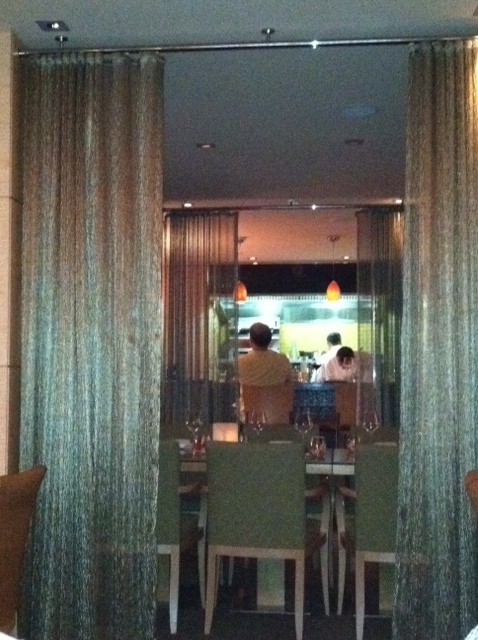 Open kitchens are popular but I really loved the “private rooms” in the middle of the dining room that were sectioned off by thin curtains. The dark red dining table and color-speckled water glasses really caught my eye. Unfortunately I was underwhelmed by the food. My entrée was the best part, but perhaps I ordered the wrong dessert (the Strawberries with Zabaione Gelato sounded delicious). 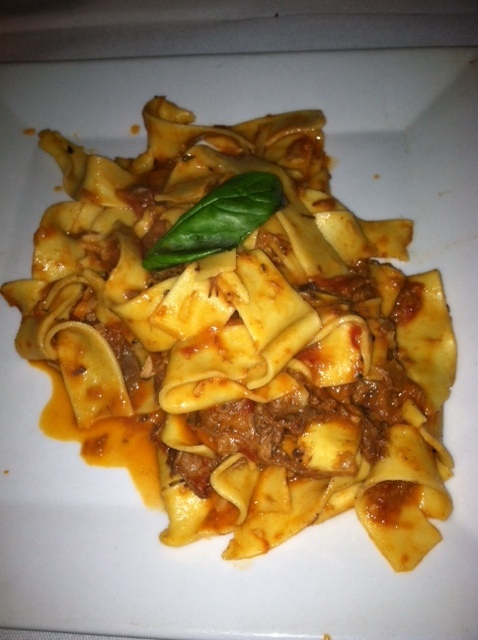 I would definitely try it again as the regular menu looked pretty impressive (I see you bolognese…). 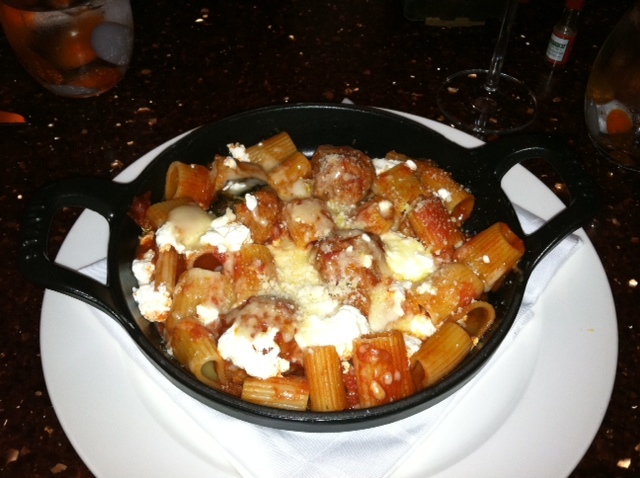 The Perfect Bite: Mezzi Rigatoni, Veal Meatballs – just like Gram used to make! Thank you to Groupon, BuyWithMe, Eversave etc for enticing me with discounted offers that I have no business buying but convince myself I need to purchase b/c it’s “such a great deal!”. I try to only buy the coupons that I “need” but often splurge on restaurant or massage offers. G’Vanni’s popped up in the email one day and since it was a restaurant I had never been to, I figured I’d give it a shot. Bread: Served in a basket were two baguettes each sliced into at least 4 pieces. 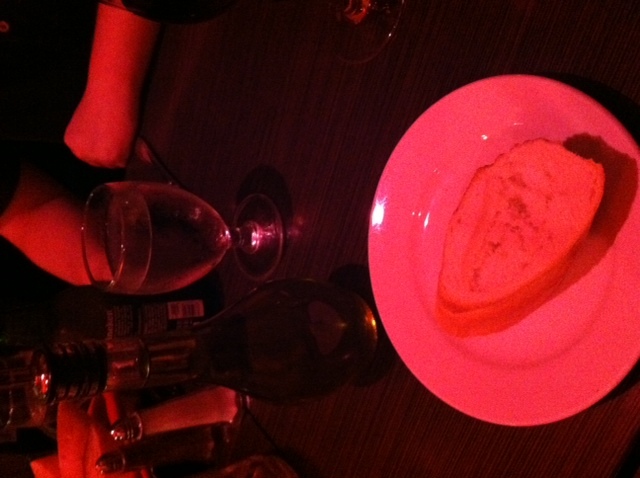 The bread was warm, doughy, and was delicious dipped in EVOO. Menu: Antipasti, Entrees, Chicken, Veal, Seafood, Pizza, Hearty Healthy & Wholesome. The options were endless but I was pretty set on ordering pasta and hadn’t had a winning Bolognese in a while. 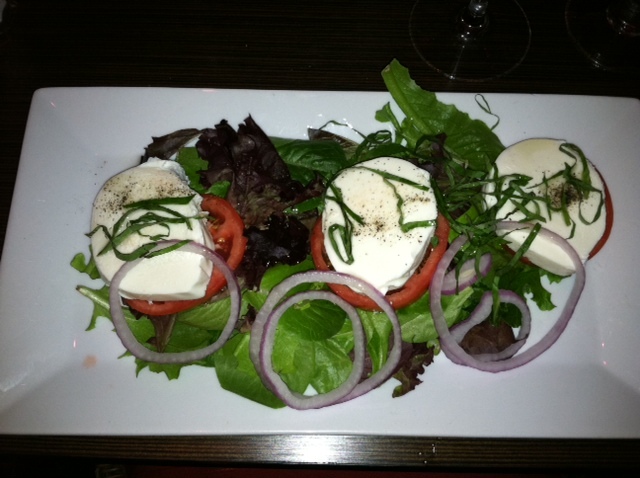 Three thick pieces of mozzarella topped three slices of tomato over a mixed greens salad. 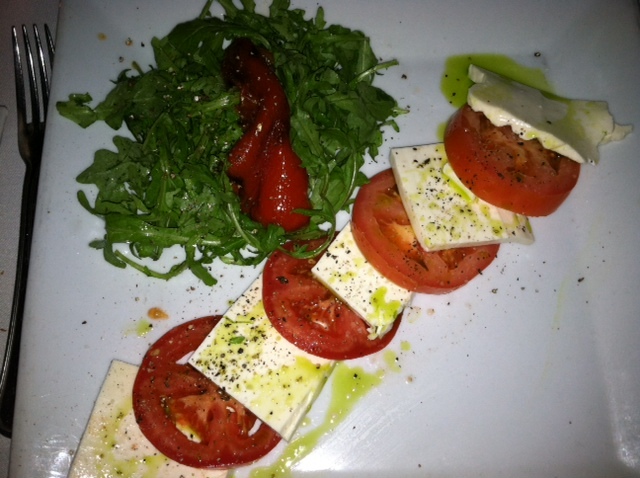 I had to drizzle on EVOO and balsamic as the salad was dry. Not bad overall, but I was hoping basil would be involved somehow. I’ve found that no two Bolognese pastas are alike and I have yet to come across a Bolognese that I didn’t like… until now. This is ½ my fault, ½ the waiter’s. When I saw “tenderloin” in the description I was skeptical but when I asked how this “Tuscan Bolognese” differed from the “Rigatoni Bolognese” all the waiter said was that the Tuscan Bolognese consisted of a homemade pasta. I decided to go for it and was extremely disappointed. 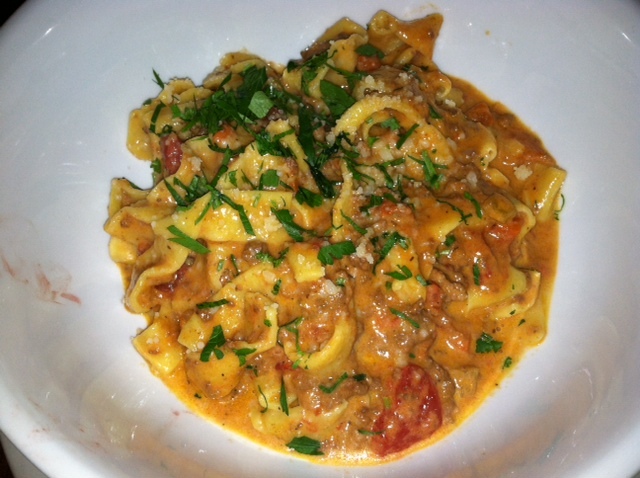 Typically a Bolognese has ground up meat, not chunks of steak. Very strange. 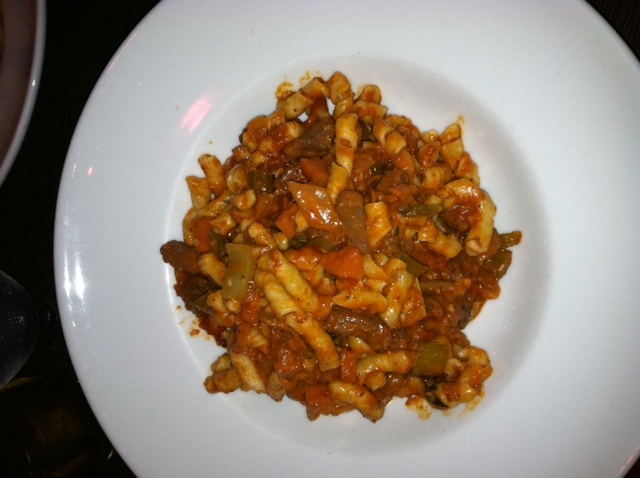 The pasta itself was good, as was the red sauce, but the big pieces of tenderloin were inappropriate and upsetting. 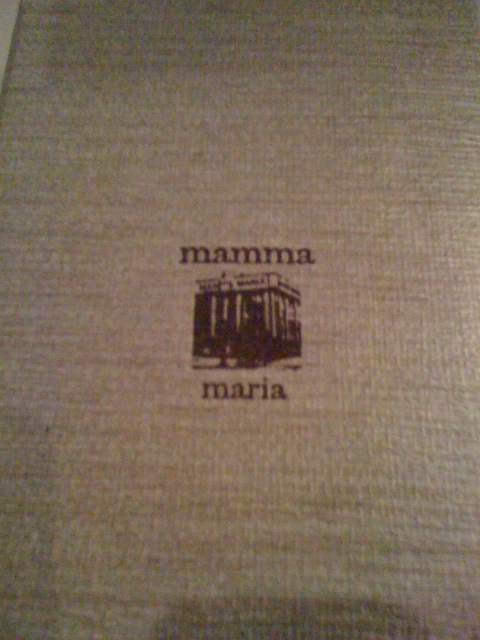 Service: We arrived for our 7pm reservation around 7:05pm and were told it would be a wait. “Even though we have a reservation?” I say. “Oh yes” says the frantic manager. There were 4 other parties waiting outside in the rain (who also had reservations) b/c the interior is too small to hold anyone that’s not seated at a table. The manager apologized and promised we’d eventually be seated so I played it cool and didn’t give him a hard time. His excuse was something about all of the “BuyWithMe coupons” and whoever took the reservations “didn’t space them out appropriately”, blahblah. Shouldn’t you know how to regulate and manage the reservations? We were seated around 7:30pm, not a terrible wait considering the panic the manager was in. Our appetizers were served in a timely manner but I think we waited about an hour between the apps and the entrees. The only apology we received was from the waiter, saying “I’m sorry, our chef is really slow tonight, your meals should be out soon”, and then we proceeded to wait a ½ an hour after that comment. Completely unacceptable. Overall: Mike and Sophie enjoyed their meals, but Matt & I were both disappointed. His tortelloni with salmon was too salty and I don’t ever want to think about that Bolognese again. 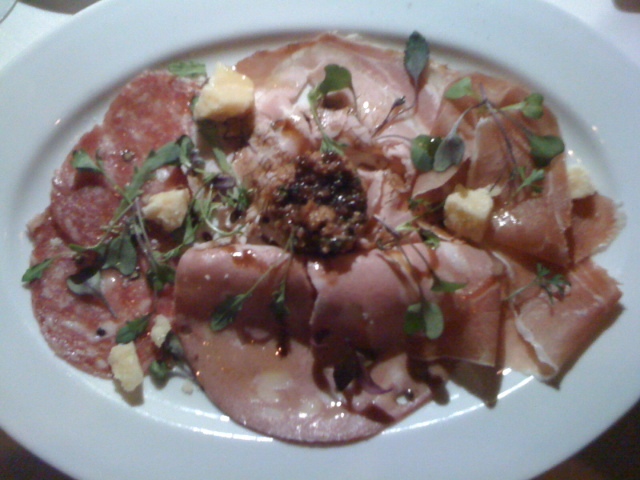 The service was horrific and b/c of that alone I would urge you to think twice about G’Vanni’s. Perhaps it’s better during a calmer time period, but they need to learn how to handle their mistakes professionally. 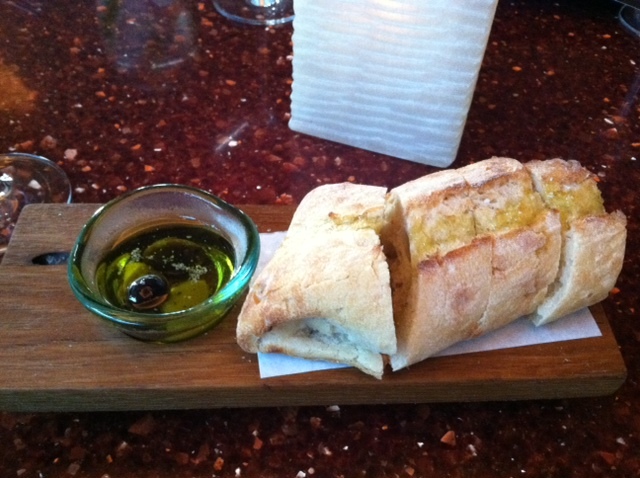 The Perfect Bite: I’d eat that whole basket of warm bread dipped in EVOO.